Understanding the foreclosure process in Stockton CA is the most important part of navigating your own home foreclosure is to . It is the best way to avoid or even stop a Foreclosure dead in it tracks. Knowledge is power and you need to arm yourself. Foreclosure is the legal process that lenders use to take back the property securing a loan, generally after the borrower stops making payments. Once a homeowner is behind on their payments the loan is considered in default and if that continues for 90 days banks can and do issue what is known as a Notice of Default. The earlier the homeowner is proactive in the beginning stages can and often does determine whether they can avoid ore even stop a foreclosure before the banks have a chance to issue the Notice of Default. Before the clock starts ticking and the 11th hours approaches. Foreclosure is still a predictable process and when approached that way, it can be avoided and stopped. But just know that it’s not the end of the world. Having a clear understanding of the foreclosure process in Stockton, CA works in your favor and allows you to take advantage of options before the bank and the clock start to close any possible window of opportunity… it arms you with the knowledge to make sure you navigate it informed and may be the single factor allowing the homeowner to come out the other end as well as possible. If you are in foreclosure Call us at (209) 481-7780 or got to https://www.ibuyhousesstockton.com/how-to-stop-foreclosure/ or http://www.westbrookstopforeclosure.com we will walk you through the specific foreclosure process in Stockton CA. In California, Stopping a foreclosure, does not require a court appearance. What it takes is satisfying the payments in arrears, any penalties and legal fees that have been applied. Usually (but not always), a lender will send out many notices that you are behind in your payments. After the established waiting period has elapsed (90 days), a deed of trust is drawn up and control of your property is transferred to a trustee. The Homeowner can stop or avoid Foreclosure in Stockton if he/she brings the account current all the way up and until the day before the published sale date. So avoiding or stopping a foreclosure in Stockton, CA is possible even at the 11th hour. Anyone who has an interest in the property must be notified by the lender during the pre-foreclosure itself. Sometimes, if the sale of the property at auction isn’t enough to pay off the loan, a deficiency judgment can be issued against the borrower/homeowner. Some states limit the amount owed in a deficiency judgment to the fair value of the property at the time of sale, while other states will allow the full loan amount to be assessed against the borrower. This has changed in recent years and in California banks are generally granted a deficiency judgement. 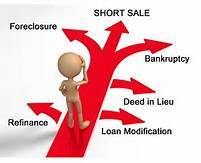 It is always best to avoid a foreclosure auction. Instead, your plan should include calling the bank. You should also work with a professional that you trust, or work with a reputable real estate firm like us at Westbrook REI to help you negotiate discounts off the amount owed to avoid having to carry out a foreclosure. If you need to sell a property in Stockton, Sacramento or Modesto CA, we can help you with a fair and fast cash offer. We buy houses Stockton CA and we have helped many families Avoid Foreclosure and have Stopped Foreclosure altogether.